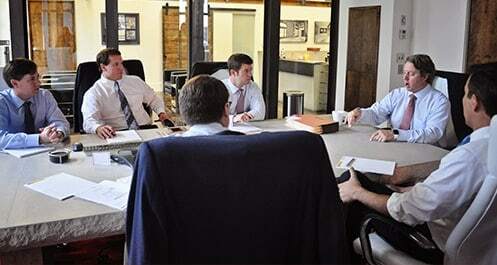 Mr. Wright is ranked AV Preeminent by his legal peers and judges by Martindale-Hubbell, a Lexis-Nexis Corporation. His ranking is listed as a 5 out of 5 in the criteria of general ethical standards. 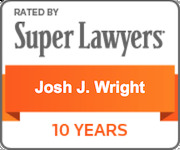 Josh was recently honored by the Birmingham Business Journal as one of Birmingham's Top 40 Under 40, a group of top professionals under the age of 40 years old in the Birmingham, Alabama area. And, he was honored in 2011 as one of Alabama's twelve "Champions for Justice" for the Alabama Association for Justice, where he serves as the President. Josh was selected by the Birmingham Business Journal as one of Birmingham's Top Small Business CEOs in September 2011. 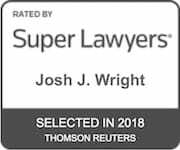 Moreover, Josh has been selected as one of Alabama's Super Lawyers each year since 2009, and has been selected as one of the Top Attorneys in Alabama by Business Alabama Magazine since 2009. Most recently, Josh was selected as a 2013 Top Rated Lawyer in the area of Personal Injury, by American Lawyer Media and Martindale-Hubbell, and was recognized by Best Lawyers in America as one of the top plaintiff lawyers in America for 2016. Areas of Practice: Mr. Wright focuses on the following type cases: wrongful death, business-on-business, dram shop, personal injury, environmental, products and pharmaceutical. TV Appearances: Josh is a regular guest on talk shows and local television in the State of Alabama. He has hosted a weekly television talk show for four (4) years on Sunday nights on NBC13 called The Attorneys. Information about that show can be found at the following link. Josh is also a guest host on NBC13's Daytime Alabama each Friday afternoon. He has appeared on CBS42 to answer legal questions related to potential football ticket forgery, and answered questions on Cocaine Federal Sentencing Guideline changes. Josh has appeared on LawCall on WBRC Fox6 regarding Alcohol Liability, and Josh also appeared as a legal expert on CBS 42 for a show called "After the Storm" -- discussing various legal topics relevant to tornadoes in Alabama. Mr. Wright was also featured in the Alumni Spotlight of the April 2011 edition of Tiger Tales, an Auburn University publication. Click here to view Josh's Auburn story. Education/Activities: Mr. Wright is from the Atlanta, Georgia area and received his J.D. from the University of Alabama School of Law in Tuscaloosa, Alabama. While in law school, Mr. Wright was a member of the Order of Barristers, University of Alabama National Moot Court Team and John A. Campbell Moot Court Board. Mr. Wright was a recipient of the Corpus Juris Secundum Academic Excellence Award and the Edward M. Friend Outstanding Oral Advocacy Award while at the University of Alabama. He also served as a Senior Editor of the Alabama Law & Psychology Review and received the Lewis F. Powell, Jr. Medal for Excellence in oral advocacy at the National Moot Court Competition. Mr. Wright received a Bachelor of Science degree in Economics from Auburn University in Auburn, Alabama. While at Auburn, Mr. Wright was selected as a member of the Spade Honor Society and served as President of the Interfraternity Council. Playing nice in the legal sandbox. Common interests and funding the Court. Presented at the Alabama Defense Lawyers' Association Annual Convention in San Destin, Florida, June 20, 2015. Pool and Aquatic Related Injuries – Know the Law so you Don’t Sink. Presented at the Southern Trial Lawyers’ Association Annual Seminar, New Orleans, Louisiana, February 8, 2013. Alabama Product Liability Law, presented at October 28, 2011 Dauber, Products & How the 2011 Legislative Session Affects Your Practice Seminar, Huntsville Alabama. Senate Bill 184, Changes to Alabama's Product Liability Laws, presented at August 26, 2011, ALAJ Big Changes Seminar, Birmingham, Alabama. Senate Bills 207 and 59, Changes to Alabama's Post Judgment Interest and Statute of Repose , presented at August 26, 2011, ALAJ Big Changes Seminar, Birmingham, Alabama. 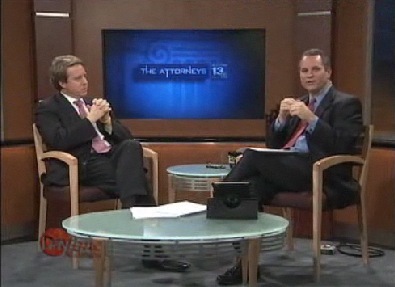 Alabama Law Call, Host on WBRC FOX 6 Television, October 31, 2010. Mr. Wright presented views on the current status of Alabama's liquor liability laws, and how restaurants, bars and convenience stores can be held responsible for irresponsible actions. After the Storm: Insurance Tips for Tornado Victims. Host on CBS Channel 42, Sunday May 1, 2011, to discuss various legal issues pertaining to storm victims. A link to the show can be found here. Alabama Alcohol Beverage Control Board of Directors (January 2009 Board Meeting). Mr. Wright lobbied the Board for stricter rules and regulations - requiring bars, restaurants and convenience stores across the State of Alabama to obtain more insurance -- that would protect Alabama citizens from drunk drivers. His work changed two Alabama ABC regulations in January 2010, including the elimination of "eroding" limits (i.e., allowed defendants to bill their costs of defense against the insurance available to a drunk driving victim), and requiring insurance companies to notify the ABC Board if they plan to cancel liquor liability insurance for non-payment of premiums. The Commercial Arbitration Marketplace: Turning a Commercial Dispute into an Arbitration Award , presented at 2006 ATLA Annual Convention, Seattle, Washington, July 2006. Post-Arbitration Award Confirmation, Enforcement and/or Appeal , presented at Hot Topics Seminar, Wynfrey Hotel, Birmingham, Alabama, December 8, 2005. Multiplying Insurance Coverage: Applying the Definition of "Occurrence" to Obtain More Coverage in Your Client's Motor Vehicle Collision Case, Journal of the Association of Trial Lawyers of America, TRIAL Magazine, December, 2005. Professional Associations/Affiliations: Mr. Wright is a member of the Alabama State Bar and the Alabama Association for Justice, formerly known as the Alabama Trial Lawyers' Association. In June 2015, Josh was elected as the 60th President of ALAJ, and will serve in that capacity until June 2016. Prior to being elected as its President, Josh served as the President Elect and Vice President. Josh was elected in 2010 to the Board of Directors of the Alabama Civil Justice Foundation (ACJF), and was elected as President for that group in June 2014. The ACJF manages and directs state trust account IOLTA monies to various charitable organizations serving disadvantaged, disabled and at risk families and children. Josh served as the president until June 2015. Personal Profile: Wife Natalie; Son Paulson; Daughter Lillie; Son Parker. Josh and Natalie are members at Canterbury United Methodist Church with their family. Josh is a basketball, football and baseball coach with his children. He has also served as a "big brother" for the Big Brothers Big Sisters of Greater Birmingham. *These recoveries and testimonials are not an indication of future results. Every case is different, and regardless of what friends, family, or other individuals may say about what a case is worth, each case must be evaluated on its own facts and circumstances as they apply to the law. The valuation of a case depends on the facts, the injuries, the jurisdiction, the venue, the witnesses, the parties, and the testimony, among other factors. Furthermore, no representation is made that the quality of the legal services to be performed is greater than the quality of legal services performed by other lawyers.